Kiwi Kids choose New Zealand writers when asked to vote for their favourite books. To read the full article see the NZ Book Council Book Scene post HERE. 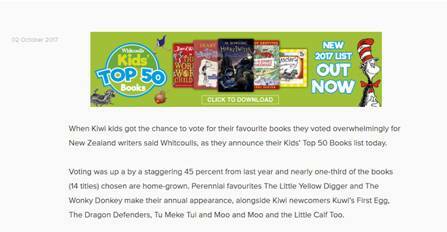 Find out more about the Whitcoulls Kids' Top 50 Books HERE.